May 27 in St. Petersburg will host the neighborhood festival "Tom Sawyer's Day." Its participants put in order and paint courtyard sculptures on playgrounds in different parts of the city. During the festival, picnics, circus and theatrical performances will be held at various venues. Organized temporary exhibitions of artists Vladimir Trubakov and Felix Dankevich. 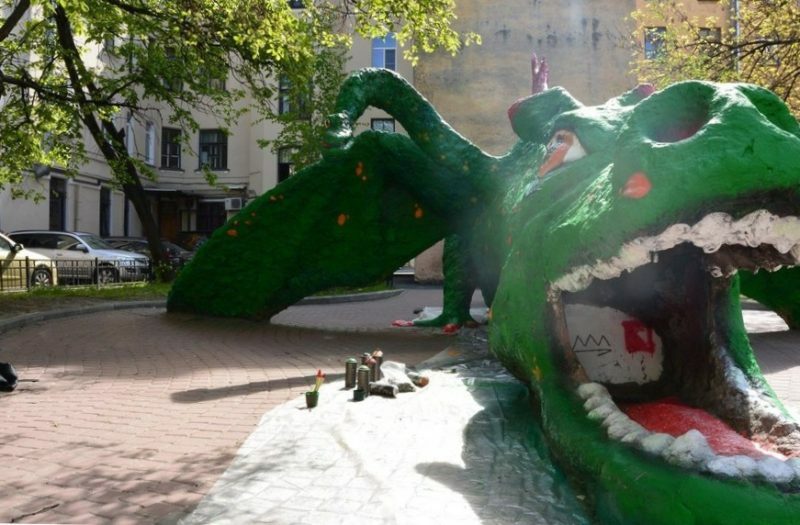 This year, the townspeople are invited to paint the hill "Repka" (Korablestroiteley, 39), the sculpture of the Dragon (8th line, 23) and monuments to Crocodile with Behemoth (Griboedov channel, 93).